16 October: marries Berendina Hubscher, formerly Urban, at Pau city hall.4 This marriage does not affect in any way the friendly relations with Nicolaas Urban and his new family. 1. Leo Hubscher, copy of a TL to the Pitcairns, Le Clos Joli, 22 May 1940. 2. We do not possess any documents confirming the precise date of their departure. They could have arrived in Pau at a later date. 3. Voir PS, ALS to the Pitcairns, n.d. [Pau, 28 August 1940]. 4. Extracts from the marriage register, complete copy, delivered on 19 December 2014. 5. 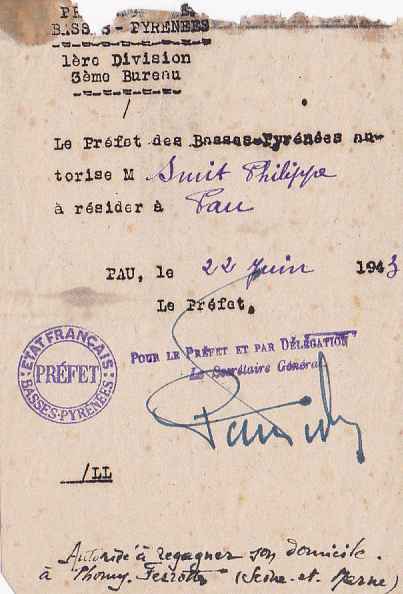 PS, ALS to the Pitcairns, Pau, 2 December 1940. 1. PS, ALS to the Urbans, n.d. [very probably January 1942]. 2. PS, ALS to Nicolaas Urban, n.d. [very probably, Bagnères-de-Bigorre, 1942]. 3. 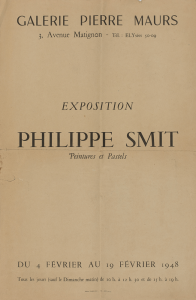 See Philippe Smit 1942 and see also [PS 518] and [PS 512]. 28 March: hopes to be able to get back quickly thanks to the help of Roger Capard. 1. Public official in the government of Vichy; see also [PS504]. 2. 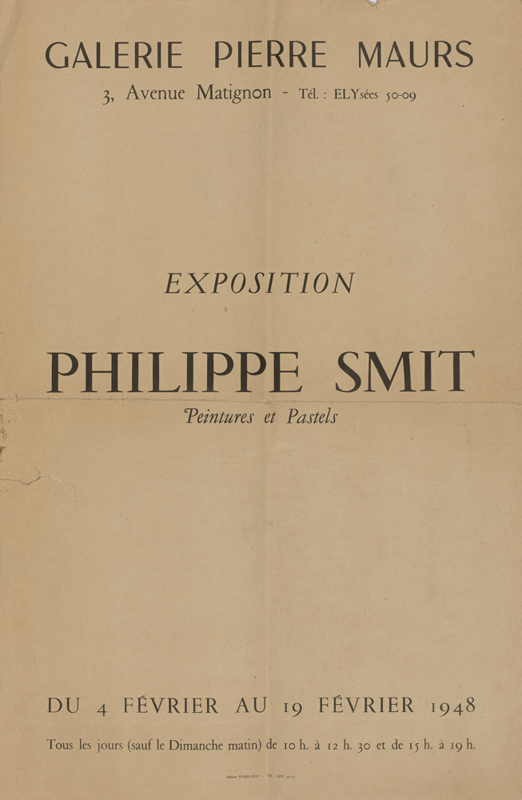 See Philippe Smit 1943. 3. PS, ALS to NIcolaas Urban, [September 1943]. 4. 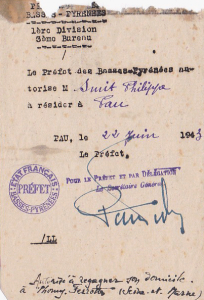 PS, ALS to Henri Roché, 19 November 1942, La Maison du Pastel archives. 5. 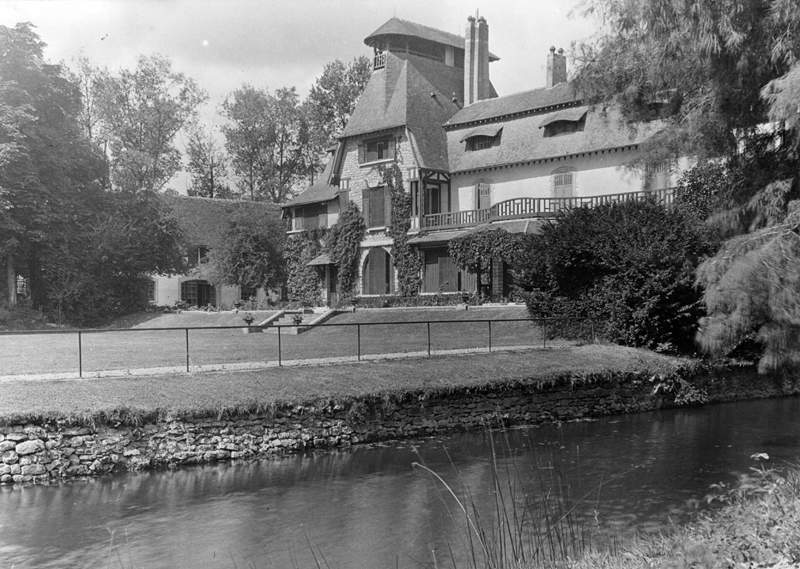 PS, ALS to Henri Roché, n.d. [1 December 1942], La Maison du Pastel archives. 29 October: leaves with Berendina on a long trip to the United States via Spain, Portugal and Porto Rico (24 November). 25 October: leaves the United States. 1. 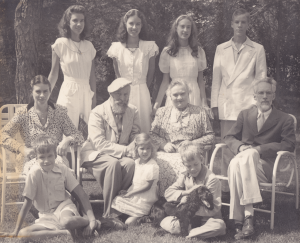 PS, ALS to the Capards, Bryn Athyn, 24 January 1946. 5 July: death of Smit in Thoury-Ferrottes, where he is buried in the town’s cemetery. 1. See 1948 Maurs. 2. Idem. FIG. 1 Castle Pleignes, ancienne property of Theodore Pitcairn, Seine-et-Marne, photographe of the 1930’s, courtesy of Mrs. Eshowe Pitcairn-Pennink. FIG. 4 Philippe Smit and Berendina surrounded by Theodore and Marijke Pitcairn and their children, USA, 1945/46, courtesy of Mrs. Eshowe Pitcairn-Pennink. FIG. 5 Poster of the exhibition 1948 Maurs.